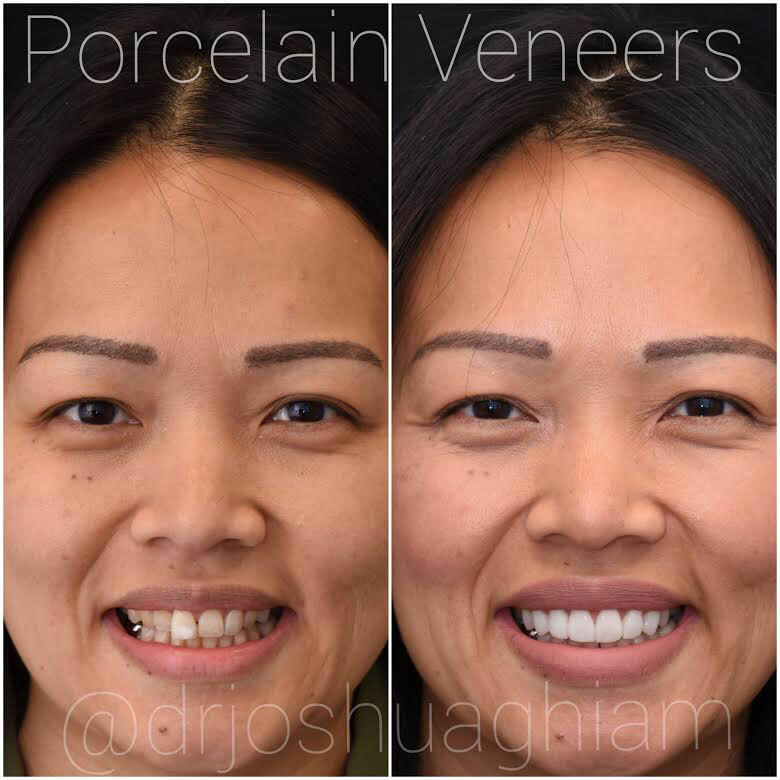 Porcelain veneers are one of the fastest ways to improve your smile. If properly placed, they can conceal all kinds of imperfections, from chips and cracks to stains and excessive wear, giving your smile a makeover that will boost your confidence and self-esteem. Indeed, getting dental veneers is often a life-changing event. 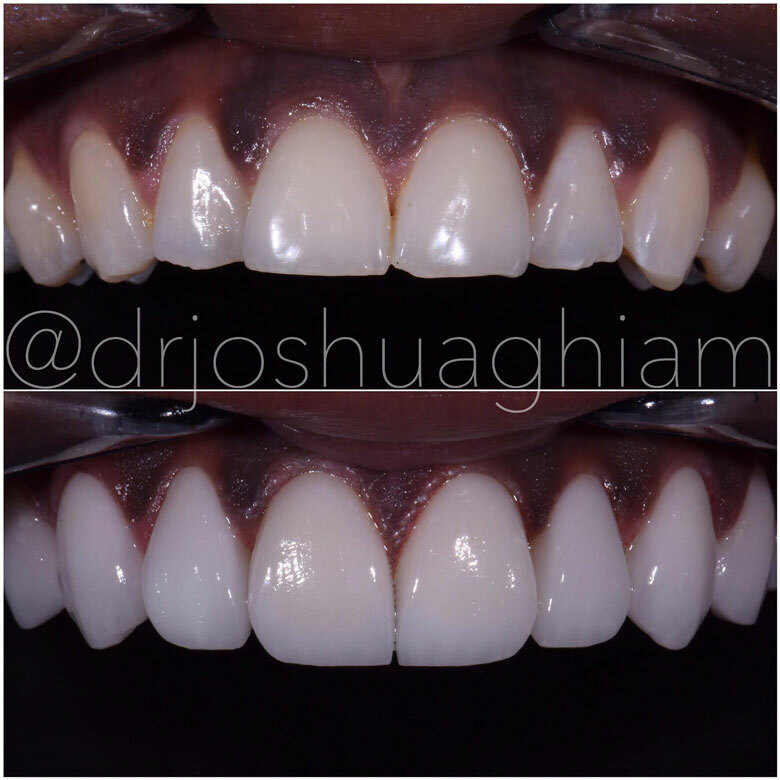 While they can transform your smile and make you happy, poorly done veneers can be devastating, and should be fixed as soon as possible to control the extent of the damage. Although veneers are a quick fix, the technical aspects of the treatment are usually quite challenging for the dentist especially when placed on more than one tooth, because they have to consider the different colors of each tooth, as well as the patient’s occlusion to deliver a uniform look. The veneers also need to be in harmony with the gum tissue as they can interfere with the patient’s speech. The dentist needs to be skilled and experienced in using the plethora of dental materials to deliver a perfect smile, while taking into account that their work will be on display for everyone’s inspection when the patient smiles. Only an experienced dentist can give you the smile of your dreams. 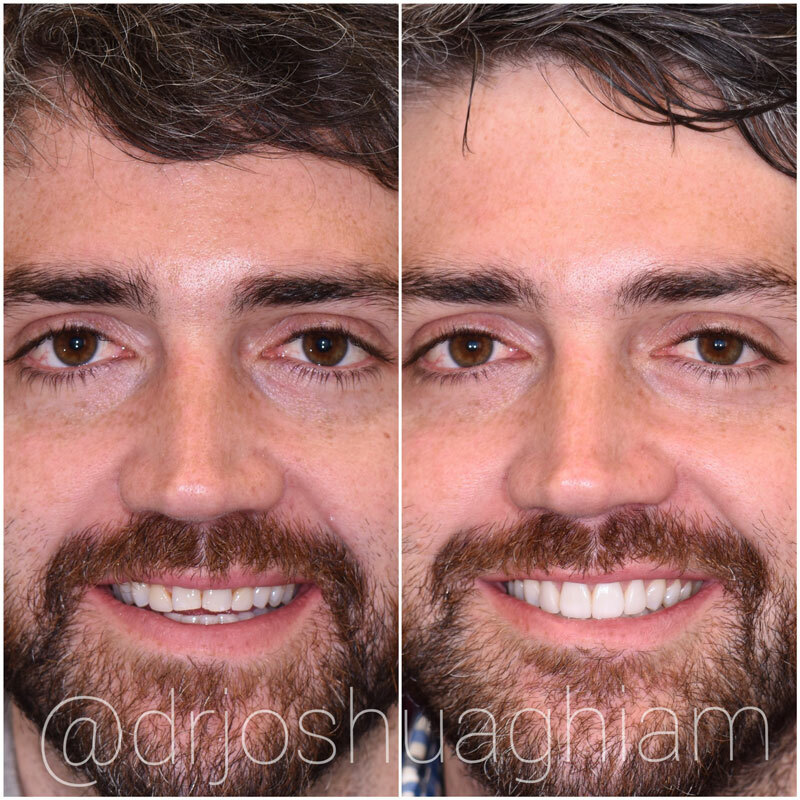 Whether it is your first time getting veneers or you need them redone, top reviewed Dr. Joshua Ghiam of LA Smiles Dental Spa can create the smile of your dreams. Cracked or broken veneers - veneers are just as vulnerable to damage from bad habits like your natural teeth. So biting your nails, opening bottles with your teeth, stripping wire, and generally using your front teeth as a tool can damage your veneers. Broken veneers should be removed and replaced to restore your smile. Delamination - your veneers can fall off if they were not placed properly according to the manufacturer’s bonding agent directions. You may need to see a new dentist who doesn’t compromise on materials or procedures. Big, white, and chunky veneers - you want your smile to look natural. So chunky, flat white veneers that make your smile appear artificial need to be completely removed and replaced. Gray or yellow veneers - very thin veneers, on the other hand, won’t adequately block the underlying tooth color, causing the treatment to be somewhat pointless. They should be replaced. Back lines showing at the gum line - using the wrong bonding technique can allow bacteria to seep under the veneer or cause tooth root exposure. The only solution is veneer replacement. Jaw pain - the first step to getting the right veneers is proper evaluation and design. Poorly designed veneers can affect your speech and lead to grinding and clenching due to a poor bite. Tooth sensitivity - for veneers to sit comfortably on your teeth, some of the tooth structure needs to be removed. But excess removal of tooth enamel that causes sensitivity to hot and cold foods and drinks can make you a candidate for root canal therapy. 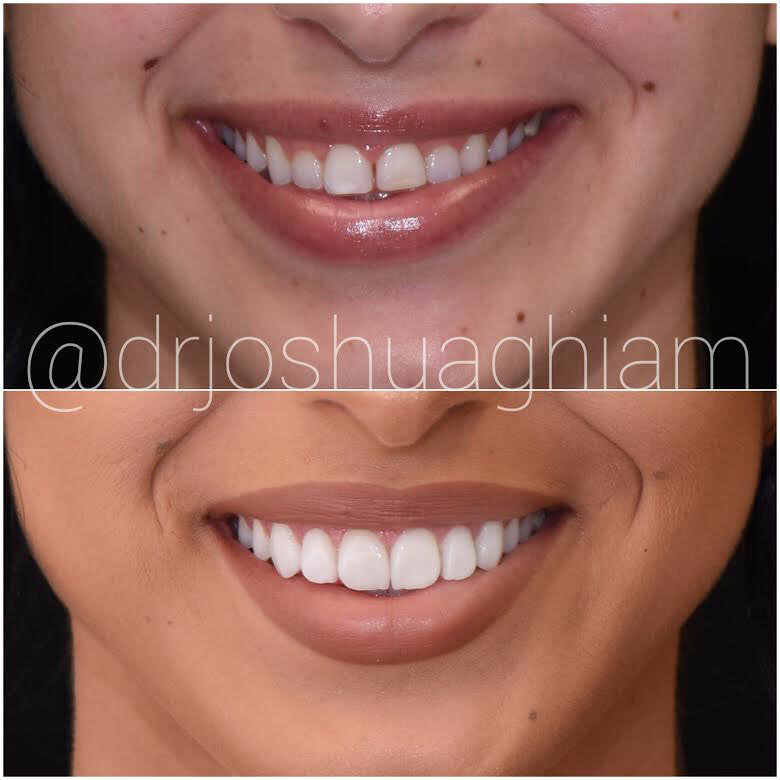 If you experience any of these problems with your porcelain veneers, you should consider getting them redone by a top cosmetic dentist in Los Angeles, who actually cares about giving you a beautiful, long-lasting smile that you can showcase to your friends. Dental veneer problems can be easily fixed by a skilled and experienced dentist. Contact us today to schedule your consultation with Dr. Ghiam of LA Smiles Dental Spa. Shade perfection for a natural look! Precision fit for ultimate comfort! “Don’t Wait. 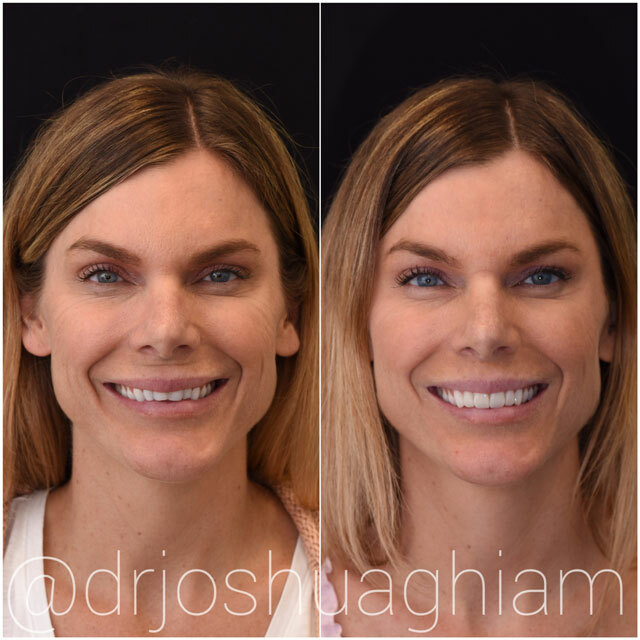 Schedule your consultation with Dr. Ghiam Today!" In as little as 5 days you will have the perfect looking smile! The most advance bio-compatable material to ensure maximum adhesion to natural tooth.